In the search for a life without any rules, the ocean has its appeals. 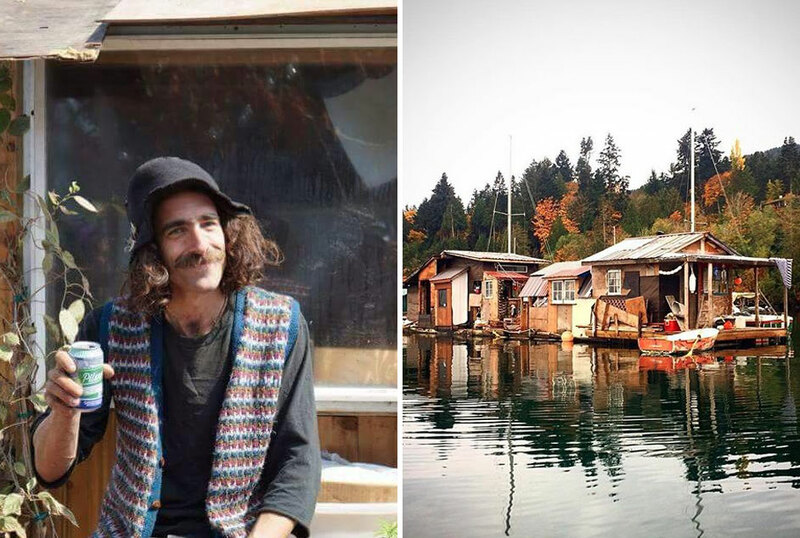 When I called up Nick, proud creator of a floating “swamp shack” built mostly out of scraps from the Salt Spring Island dump, he told me one of the biggest draws is not having to adhere to any city bylaws on fire safety or sanitation. In a bay known for derelict structures, Nick’s shanty town creation has a wraparound porch with rocking chairs that wouldn’t be out of place on a Louisiana bayou. The cabin has high ceilings, lofted bunks, a wood stove, and an overall whimsical vibe. Nick describes the concept as “pretty psychedelic,” adding it may or may not have been designed on shrooms. Of course, there are also some drawbacks to living off dry land, and Nick’s rich neighbours won’t let him forget it. When winter comes, the bay is known for some pretty gnarly weather. 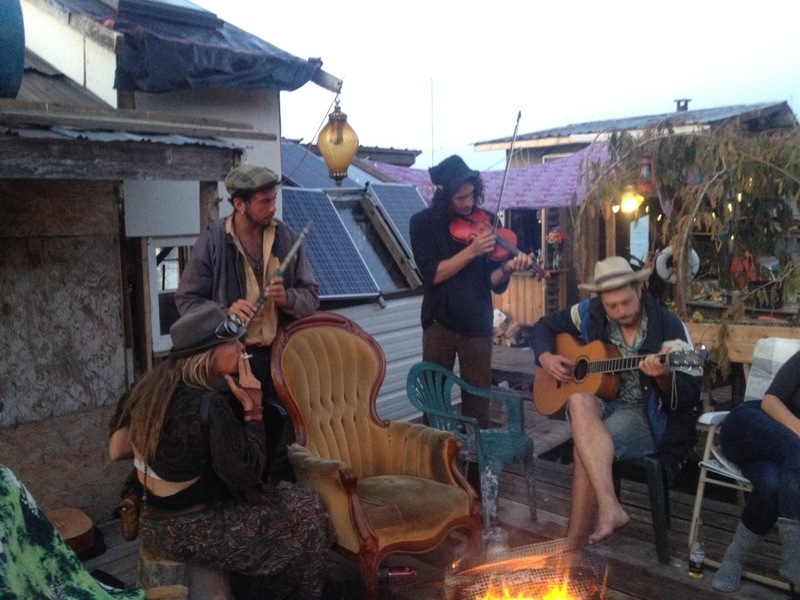 “People in the bay are adamant that we’re going to die from the storms,” Nick told VICE. He says three years ago an especially brutal storm ripped some abandoned boats apart in the bay. And just last year, a week of bad weather smashed two of their docks together, which meant staging multiple emergency repairs. This summer’s projects included a new roof. Last month, Nick received an eviction notice, which came as a surprise, since he knew the municipality had no jurisdiction on the water. The notice said that under bylaw 355 of the Islands Trust, no dwelling is allowed on a water surface. “They came and posted it on our door while we were away,” he said. Nick says he first got into building as a kid. 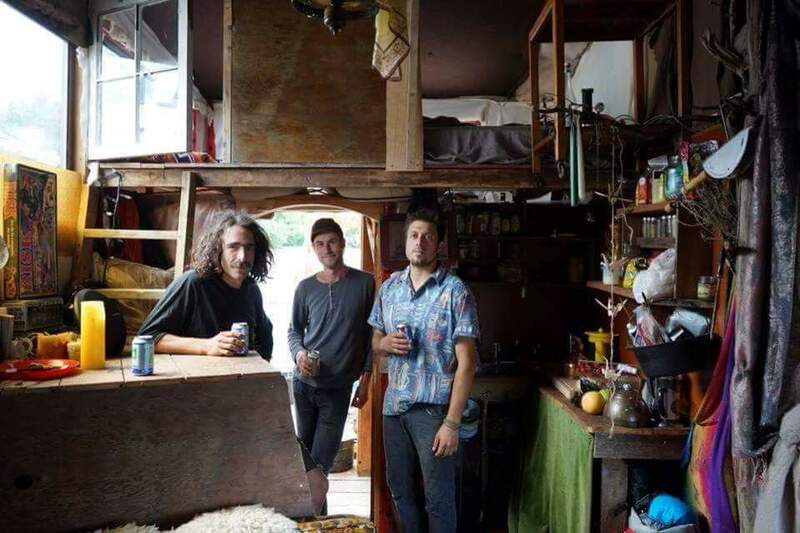 He says he was constantly constructing more elaborate treehouses growing up. That later turned into his first attempt at a tiny home when he moved from Courtenay, BC to Vancouver. Then Nick learned about building codes the hard way, after constructing a “small castle” into a Salt Spring Island cedar tree a few years back. This was one of his more elaborate pieces, complete with an apartment and spiral staircase. He says neighbours complained, and the regional district served Nick a stop work order. Nick had to tear it down. That’s what got Nick thinking about floating. “At first we were just daydreaming about a rustic cabin with rustic bunks and a fireplace, and then we ended up buying two old danky docks that were falling apart,” he told VICE. 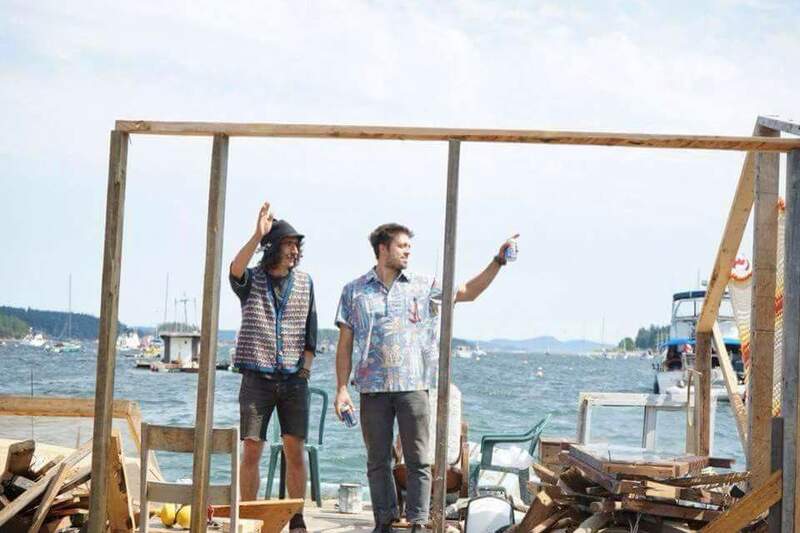 The shack that was on one of the docks had recently burned down, so Nick says he was able to buy it for super cheap. Nick says he makes some cash doing contract construction work, but his low-cost housing situation lets him choose projects he loves. When asked about his income, he says he lives off about $1,000 per month in the summer, and less than $600 a month in the winter. The float house party scene. “You can tell what is and isn’t sound,” he adds. That sturdiness is about to get tested come October.